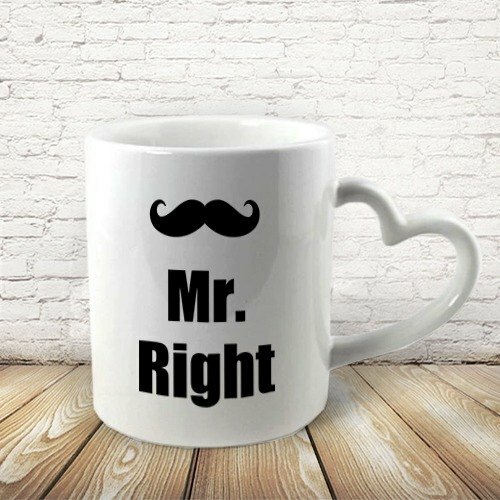 ▲▲ [Valentine] Mr.Right Heart-shaped handle Mug ▲▲ In this sweet holiday, u have Mr.Right? He gave you, let him sweet in hand every day. //size// Cup / height 9.5 (cm). Diameter / 8 (cm). Capacity / 350 (ml). // // Material White porcelain. //Arrival time// 8 working days of arrival. More than the amount subject to consultation. //Precautions// 2 pores are limited to no more than 1mm normal range, not a flaw.